This custom aspiration allows your sims to live a life of their own choosing! It focuses entirely on completing lots of whims from your sims, a total of 200 to complete the aspiration. 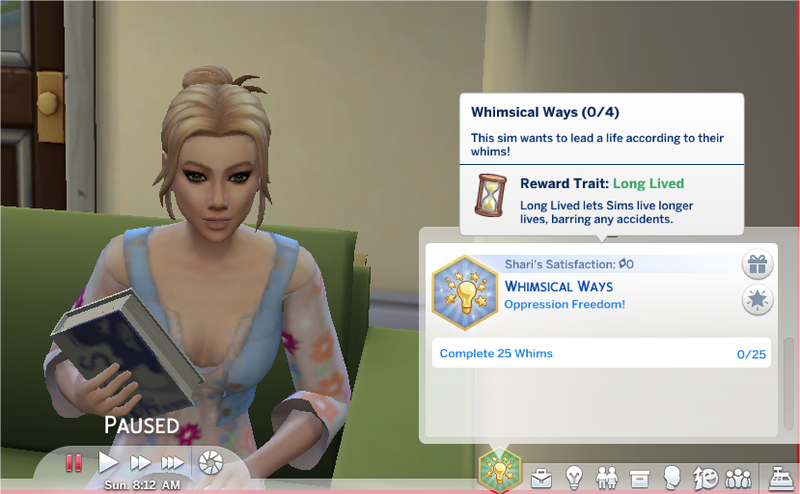 Description: Your sim wants to live a life according to their whims! All files are new files, not overwrites, so there should not be any mod conflicts. 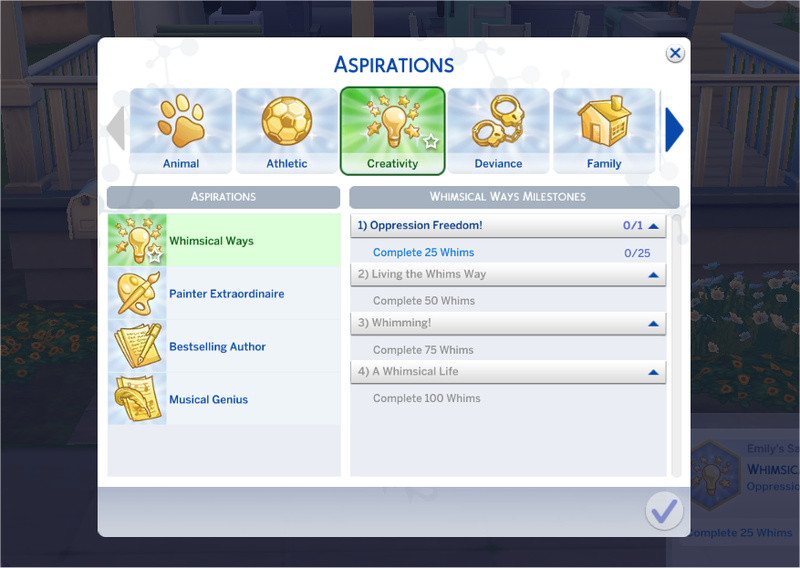 As the objectives are all for completing whims, the aspiration will work with the base game and expansion packs. Scumbumbo for advice in modding forum. 258 people have said thanks to PurpleThistles for this download.